Defence Minister Mohamad Sabu says the King Salman Centre for International Peace is among the things to be reviewed by his ministry. KUALA LUMPUR: The future of a Saudi Arabian-backed counter-terrorism centre promoted by the previous government now hangs in the balance, as new Defence Minister Mohamad Sabu has indicated that the entire project is among those to be reviewed by the new administration. But the new government must also reconcile any move to call off the establishment of the King Salman Centre for International Peace (KSCIP) with Malaysia’s need to maintain good ties with Saudi Arabia, analysts say. 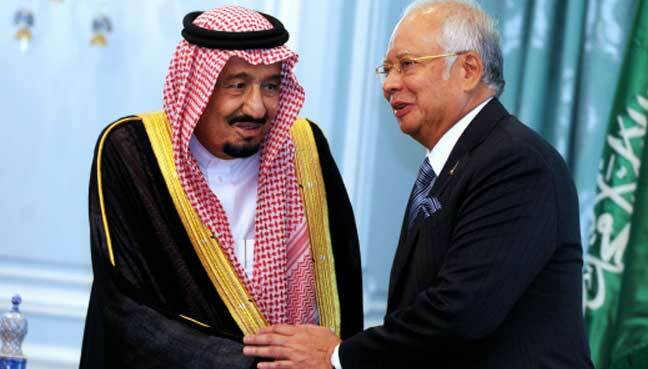 The Najib Razak government had agreed to allocate a massive plot of land in the administrative capital of Putrajaya for KSCIP, which was announced following the visit by Saudi monarch Salman Abdul Aziz last year. Since then, the centre’s biggest proponent had been Mohamad’s predecessor Hishammuddin Hussein. The former defence minister had said the centre was crucial to curbing the spread of extremism and militant ideologies, including by the Islamic State (IS) group. But critics have questioned the partnership with Saudi Arabia to fight terrorism, highlighting Riyadh’s military and ideological role worldwide. 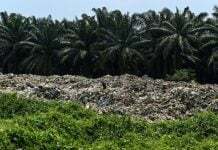 It was later announced that KSCIP would be based in Putrajaya, in a complex sitting on 16 hectares of land, which would take two years to complete. 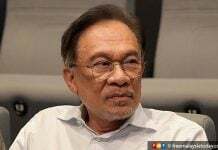 The decision did not sit well with the then-opposition Pakatan Harapan (PH), the coalition now in power, and Mohamad’s own party Amanah has been among its most vocal opponents. 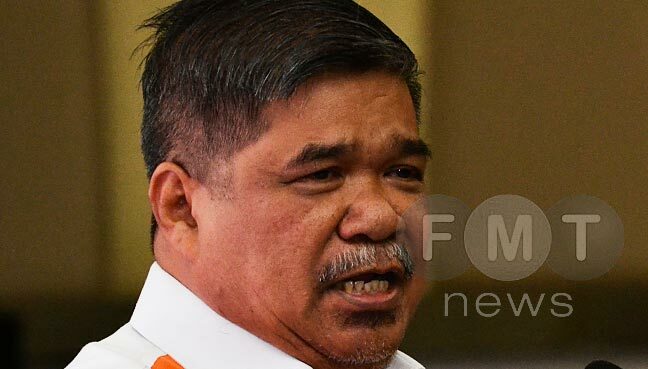 In his first press conference since taking over the ministry, Mohamad, popularly known as Mat Sabu, indicated that the centre would be reviewed after consultation with Prime Minister Dr Mahathir Mohamad. A senior analyst welcomed the move. “I think the minister’s instincts are correct – while expressing reservations about KSCIP, he has asked the ministry of defence for more information about the centre before making a final decision,” said Shahriman Lockman from the Kuala Lumpur-based Institute of Strategic and International Studies. He also questioned having a centre with “so much Saudi money and influence”, saying it could drag Malaysia into “quarrels that are not ours or of our making”. “Saudi Arabia is in the midst of an intense geopolitical rivalry with Iran, which has had the effect of widening the schism between Sunni and Shia Muslims throughout the world. “What’s happening in Yemen and Syria are, to some extent, a symptom of Saudi-Iranian rivalry. Would it be possible for KSCIP to avoid taking sides, even though Prime Minister Dr Mahathir Mohamad has emphasised that Malaysia should remain neutral and non-aligned?” he asked. Shahriman said it would be easy to call off the plan as KSCIP was still in its infancy with only a skeletal staff. But he said one challenge for Mat Sabu would be to maintain Malaysia’s good relations with Saudi Arabia in the process. “Whether we like it or not, whatever we think of them, Saudi Arabia is a major player in the Muslim world and in the Middle East. Shahriman said Malaysia and Saudi Arabia have different world views and therefore different approaches to countering violent extremism. Among the players in KSCIP are the defence ministries of both countries, and the Muslim World League (MWL), an organisation heavily funded by Riyadh over the decades, which has carried out activities to promote Saudi Arabia’s Islamic image abroad. MWL has a history of promoting Wahhabism, or Salafism, as its proponents prefer to call it. Wahhabism is a controversial strand of Islam based on a literal interpretation of Islamic texts, which has been closely linked to many of its more militant offshoots including the Taliban, Al-Qaeda and more recently the IS. An Australian security analyst, however, said it was too early to criticise KSCIP. Patrick Blanning said the method of countering violent extremism, or CVE, was replicated to varying degrees throughout the Western world. “So it’s difficult to criticise it in isolation without criticising the entire concept of CVE,” Blannin told FMT. “If it delivers on expectations, then great, but it’s difficult to say without clear metrics for success or return on investment.